The latest model in the Traxxas TRX-4 lineup is a real eye-grabber, even if you’re not a “bowtie” fan. The TRX-4 Chevrolet K5 Blazer is a visually impressive vehicle (even when viewed from afar at your local hobby shop). But is its beauty backed up by performance? Well, see for yourself. Traxxas has put together this short video of their TRX-4 Blazer crawling and cruising against the picturesque backdrop of a shoreline. From rocks to flatter terrain, the driver-adjustable gear and speed selections come in handy when a little extra torque is required. 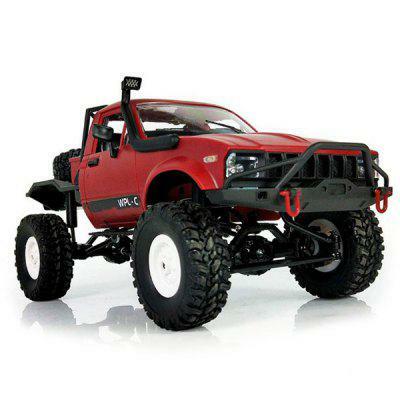 Learn more about the Traxxas TRX-4 Chevrolet K5 Blazer at traxxas.com.